Reading Between the Wines Book Club: Read an #Excerpt from Everywhere and Every Way by Jennifer Probst! 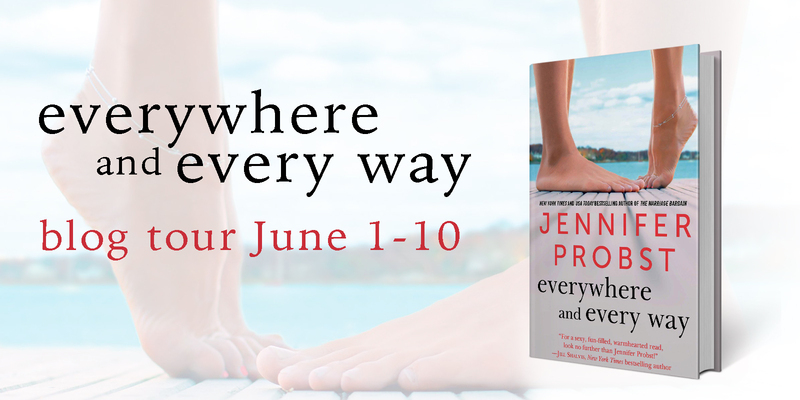 Read an #Excerpt from Everywhere and Every Way by Jennifer Probst! Morgan refused to pace because it only showed weakness. Instead, she pulled her linen pants tight so they wouldn’t wrinkle and settled on the sprawling sofa in her hotel suite. Soothing music piped in low through the Bluetooth. She sipped her glass of water with lemon. And pondered. The others had been less stubborn. It didn’t bode well for the future of the project, but she’d had no choice. She waited in her hotel room most of the day, but he hadn’t come storming over. No text. Not even a scathing email. Nothing but silence. He’d have to take the job. She’d done her homework. Called in her favors. Pierce Brothers needed her more than she needed them. After studying the client profile, Mor- gan knew immediately that Caleb Pierce was the only one to make this house work. The Rosenthals were her most demanding clients, and nothing less than perfection would be accepted. Her entire career had grown steadily, her reputation impeccable. She got the job done and never faltered. 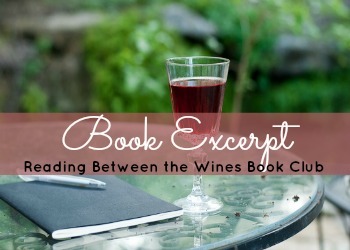 Soon, celebrity clients lined up so she could build their houses, allowing themselves to trust her with the most intimate of projects, but when the Rosenthals came knocking, Morgan knew it was a turning point. If she did a good job, she would be the darling of Hol- lywood. People listened to the powerful couple, and even Brangelina were no longer the crowning glory. They had been officially replaced. Morgan was used to flying all over the country at her clients’ beck and call, but it was always nice to settle in a town for those few months and feel a part of something big- ger. She missed her Southern roots and the closeness of the community, but her mother had encouraged her to follow the road to greatness. Her job might be a bit eclectic, but she’d come from a long line of well-established decorators in South Carolina, and she hadn’t wanted to stick around to be overshadowed. Her mother hadn’t wanted that, either, hav- ing already claimed the main role as queen. And of course, Daddy always followed her mother’s lead. She let out an impatient sigh, glanced at her tasteful silver-and-pearl watch, and decided to order room service. three-inch cream heels, smoothed down her hair, and waited for his knock. She reminded herself not to enjoy the upcoming en- counter too much.